I’m wondering if this is a question that has been in anyone’s mind recently. Although I should qualify this question. I know my family all know where I am. And many of my friends know what I am doing. But for those who are not in the category of “Norm’s family” or “Norm’s friends”, for those who have been visiting The Listening Post or are subscribers to the blog, this question may have come up. Why would I raise this question? Well, for all those who are following me on this devotional blog site, it should have been noticed that the frequency of articles coming out has been declining over the past year. Back in 2011 and 2012, I was writing three articles every week: to share about all the missionary experiences I have had over a lifetime, to walk through a Christian book chapter by chapter, and to do a Bible study on the Gospel of John. But since the beginning of 2013, I was only able to write two articles a week for about half a year, and then it became only one article a week. And then suddenly there were no articles for the past few weeks. Oh no!! Did that horrible monster called “Writer’s Block” come up and attack Norm! Or did the “fount of knowledge” simply run dry for him. Nah!! Nothing so ordinary as that. The simple truth is that God has been so good to allow me to be more active for Him in ministry over here in Papua New Guinea, that there really is so much to say, but so little time to sit down and write about it. There is an interesting universal law at work here I think, which goes something like “The universe cannot stand having a void.” The idea is that when there is extra space, something will fill it up. We see this in normal day living. When a family lives in a small house, the rooms, cupboards and storage spaces all get filled up. Now what happens when this same family is able to move into a much larger house? In almost every case, within less than a year, you will still find all the rooms, cupboards and storage space are still all filled up. How is that possible? Simply this: we like to fill up our space. Now consider with me this universal law from a Christian perspective. What happens when a Christian gives freely of their time, their talents and their treasures (money or material possessions). It is said that a person “can never out give the Lord”. And this is very true. When we give some of our money or material possessions away in order to help others or to advance the work of God, it is so often true that God will turn some situation around and bring back an awesome material or financial blessing in return. Now don’t get me wrong here. We should never give with the sole purpose or intention of getting something from God. God does not operate this way. For Scripture tells us that “God loves a cheerful giver.” (2 Corinthians 9:7) But the Bible also says that when we give, it will be given back to us by God in “good measure, pressed down and running over”. (Luke 6:38) When we give of what we have (in any form) then God will fill back up our emptiness with the abundance of His overflowing blessings. So what has all this to do with my question at the beginning of “What happened to Norm?” Well, when the muscle disease first hit me back in 2008, I suddenly found my world shrank down to place very tight boundaries on what I could do in life. In many ways, my space of existence during the day was not much more than the easy chair recliner in my living room. But thankfully, I could still do some of my mission work on my computer, and the Internet became my doorway through which I could go to access the rest of the world. Slowly over the past two years, Jill and I have together been challenging those boundaries by faith, and we made longer and longer trips over to Papua New Guinea so that I could sit in another reclining chair and do the consultant checking of translated Scriptures that is happening among many Papuan languages. So as we challenged and expanded those boundaries, God filled up the space with more ministry activity. This expansion of my space and physical abilities (in spite of what the doctors have been telling me) has been an exciting journey of faith. And it culminated in January 2013 when I was chosen and elected by the Members of our mission group here in PNG to become their Director over all the Language Programs. Wow, isn’t God amazing. So for the past 8 months, I have been on quite a steep learning curve to know how to fulfill my role as the Language Director, overseeing 13 translation and literacy projects within our Madang Province. Pretty much every little corner of free space I had before has become full of very exciting ministry work among the peoples of PNG. And it is because of this that I have reduced down to writing only one blog story each week. And I do hope that they are meeting some need in your life. I pray that my articles can be used by God to fill you and to bring healing and joy to you as well. Everyone struggles with doubt and some level of unbelief. No matter how strong our faith may seem, there will always be moments when we have our faith challenged and we seem a little shaky in believing for the best. Sometimes it feels like we are believing for the impossible. Don’t despair though, this is exactly where God excels. The context of this story here in Mark 9 is that there was a father whose son was possessed by an evil spirit that caused the boy to throw himself into fire or into water to injure himself. The disciples of Jesus had not been able to heal the boy, and so the father turned to Jesus, hoping against hope that Jesus could heal the boy. The man had faith and believed that healing was possible for his son. But his faith had been shaken when the disciples could not heal the boy. Jesus’ challenge was that we who believe must hold strong on to this belief. Even when we do not see the immediate results of our prayer and faith, we are still challenged to stand strong and believe. I can identify with this story considering what has happened to me this past month. Exactly four weeks ago, I was boarding the first of four flights that would take me from Madang, Papua New Guinea all the way back to Calgary, Alberta, Canada. One day I was still serving the Lord doing my Bible translation work, and the next moment I was flying to Canada to get laser surgery to fix a retinal tear in my right eye. Now my faith has always been there believing that God is with me no matter what the circumstances are, that He will take care of me, and that He will bring good out of every situation for those who love Him. (see Romans 8:28) And so I trusted God that He would work things out as I left PNG on this medical emergency. And God did take care of me. In an amazing 52 hour journey from PNG to Canada, I was given such good treatment all the way, made all the connections, and had an incredible amount of energy that sustained me through the trip. That alone was like a miracle to me, since for the past five years that I have battled with a muscle disease I have not had the stamina to travel far without needing to get rest. The next incredible part of this journey was this: after I landed in Calgary, my family picked me up at the airport and we drove straight to the hospital with the eye clinic and within four hours I was seen and scheduled for laser surgery by the city’s top retinal doctor for the following morning. Then came the hard moments, both physically and spiritually for me. The first laser surgery was blinding, painful (when the laser burnt some nerve endings), and not conclusive. This led to a second surgery. This time the doctor opted to go in the other direction and used the freezing method, not the laser surgery to seal the tear. This second procedure is called cryopexy. The doctor had a hand device that was connected by a tube to a tank of nitric oxide. On the other end of the hand tool was a long metal probe. The procedure was to insert the metal probe around the side of the eyeball and get to the retina from the backside and use the freezing gas to seal up the retinal tear from behind. Needless to say, this second procedure was extremely painful. (Imagine getting a fat needle poked around behind your eyeball, then afterwards the gas gives you a “slurpie brain-freeze”.) I was sure that this would take care of everything. The doctor told us to visit in a week for a follow-up, and we began thinking, “Maybe I can go back right away to PNG and continue my ministry work there.” But to our surprise, the doctor said it still wasn’t complete and I immediately got a third surgery, this one being again a laser surgery. We were just like this father who had said so long ago, “I believe. 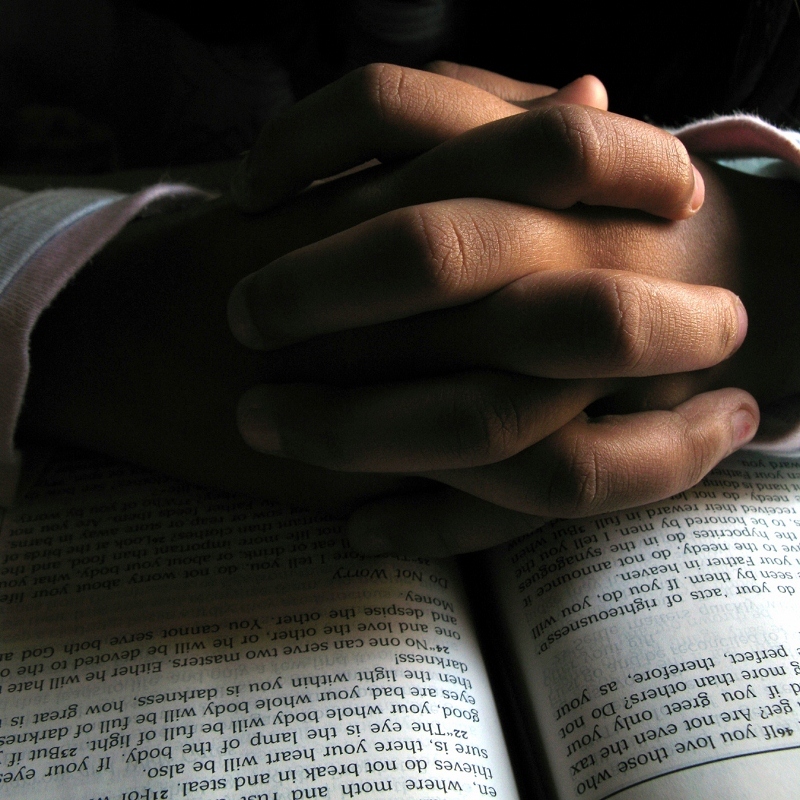 But God, help my unbelief!” We prayed and prayed and asked many others to pray too. And then we left it in God’s hands. We went in yesterday to see the doctor. He carefully examined the retina. And then with a broad smile he said, “I got that pinned down really good, didn’t I!” Oh what a relief to hear those words. As I reflect on the mental and spiritual battle I went through, I knew that my mind was playing all kinds of mental tricks on me which fought against my faith. But my heart believed, ultimately, that God would see me through this positively. And even if it had meant a fourth surgery, my God had never changed from being my God who loves me. I know He would have brought me through and restored my eye no matter how many surgeries it would take. And I believed that God would allow me to return again to PNG (in His timing of course). And so this is now our prayer and belief that by the end of September I will be in PNG continuing to do my ministry for God there. I invite you to stand in faith with us and also believe. 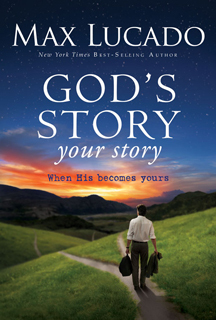 At the end of Max Lucado’s book, “GOD’S STORY, your story“, there are study questions and activities to consider that relate to each chapter. I invite you to read the book, and look over the entire question and application section. In my articles, I will usually only pick up on two or three questions and relate them to my own experiences. Chapter 9: When God’s Story Becomes Yours…. There is no doubt that it is difficult for any person to see good in an event that we would classify as “tragic” or where great suffering is involved. There is a quote that still haunts me from the “Lord of the Rings” trilogy movies. When King Theoden mourns at the side of his son’s grave, he says to Gandalf, “No parent should have to bury their child.” I can truly empathize with Theoden as my wife and I buried our stillborn daughter (29 weeks in). And then we feared for the life of our 12 year-old son who battled leukemia. It can be very easy, and trite, for someone to say, “The Lord giveth, and the Lord taketh away. Blessed be the Name of the Lord.” Even though this old religious saying is ultimately true, it does little to comfort those who have lost a loved one. And this is especially true, the younger the age of the one who has died. So it is quite natural for people to feel anger towards God when they see no good reason for that death. Question #3: Which of your life experiences of privileges is God using, as He did with Paul, to His advantage? How are you uniquely able to do what others may not be able to do? Paul talked about having a “thorn in his flesh”. Some say that was a spiritual temptation that he could not overcome. But most believe that it was some physical ailment or condition that he sought healing for, but God chose not to heal him. No matter what it was, God was still able to use Paul in great ways to advance the work of God and tell others about Christ. But these four years have not been easy. And yet, I have seen God work through me to bless others in ways that I do not think would have been possible if I had been healthy. When I travel over to Papua New Guinea to do the Bible translation consulting work, people are amazed at what gets accomplished on these trips. I tell everyone that is is by the grace and strength of God that I can do what I do. And then when I started this devotional blog site two years ago in November 2010, I had no idea that so many people would come to the site and read the stories. In 22 months, there have been over 22,000 visits to this site. Praise God!! And I love how my wife Jill describes this work that I do propped up in my easy chair with my laptop in front of me. She calls this my “Armchair Ministry” to the world. And for that, I am very grateful to God. Question #4: How would you like God to sift and stir the difficult situations you see around you into a well-prepared ending to the story? Describe the preferred future you would like to see in these situations. This is a hard one. I really am reluctant to paint a picture that I then turn around and expect God to fulfill it for me. I have learned so much in these last four years to simply take one day, one week, and one month at a time. In many ways, that has released me from worrying about the future. But there is still part of me that is quite human, and I do have a couple of things that I talk to God about from time to time. I do pray for my own healing and believe He is in the process of doing that. I would have to say that I yearn at times to be able to walk and run like I used to. But even if that doesn’t completely happen here, I know I will be running again when I get to heaven. The other thing that Jill and I talk about frequently is the idea of being able to return to living overseas in Papua New Guinea again full-time. This one too is possible, but we leave this also in God’s hands. One of our fellow PBT missionary couples wrote a in their monthly newsletter in 2010 a summary of the experiences they had during the first year that they were on the mission field in East Africa. It is truly amazing all the things that they did. Enjoy their story, and then I will write about a few things that I recall from our first year of living in Papua New Guinea. We arrived on September 17th, went through basic orientation to life on the field, attended language school for 2 months, spent a month living in a village to further our culture and language acquisition, became involved in branch and community life, attended our first Branch meeting, participated in two consultations, took on responsibilities as exegetes and taught in the annual training all the while continuing in our language learning with the help of several tutors. We have felt excitement over the distribution of Scripture portions, discouragement due to the complex and challenging task that we still face and feel inadequate for, and hope for the transformation of a culture. We have experienced several bouts of parasitic and bacterial dysentery, skin issues and other consequences of physically adapting to a new place and climate. We feel relief over being spared from malaria this first year. We have felt a sense of accomplishment as we successfully communicate something in a second language! We have felt encouraged by our team-mates and national co-workers. We have ached over our longing to be with our families back in the States. We have rejoiced over babies being born to friends and colleagues and grieved over the loss of parents and even children. We have felt like children having to learn all over again how to speak, act and live in our new culture. And we have felt grown up after successfully learning how to feed ourselves and set up our home and drive on the left side of the road! All this and more has been packed into a single year of our lives. God has not only seen us through but given us all that we need mentally, emotionally and spiritually to be His witnesses. Our triumphs are ultimately His and the trials have served to deepen our dependence on Him. We are so grateful for the amazing support we have from the home front and the mercies of God which are new every day. For anyone who has not travelled outside of their own country, and I think especially for North Americans, it can be difficult to really appreciate all the challenges that missionaries face when they first leave their home country and culture and start their lives over within a new cultural context. In those first hours and days, the missionary is bombarded with sights and sounds and oftentimes smells that can be very overwhelming. Quite naturally, as missionaries prepare to go to the field, they will talk to those who will support them through their prayers and donations about the ministry work that they will do once they get there. 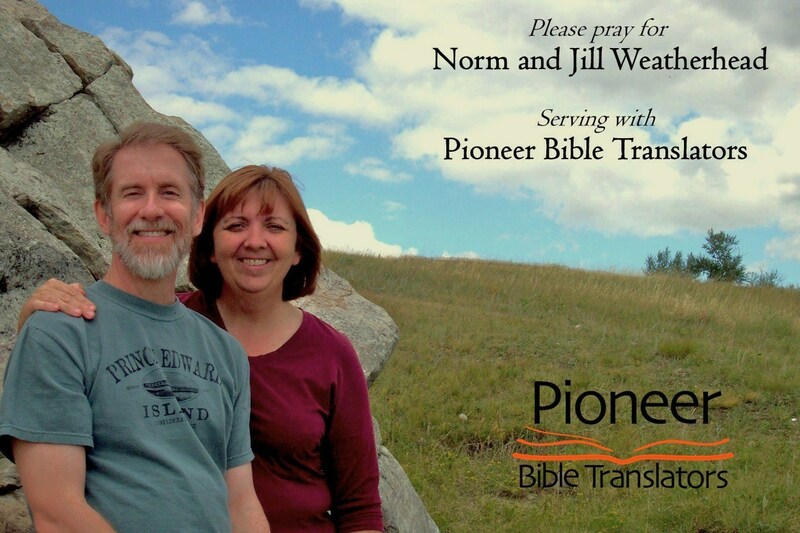 Pioneer Bible Translators helps to train and send linguists, church planters, administrators, and many other support workers to the field. But we must never forget that these highly skilled people are still just ordinary people. And we have experiences of joy and sorrow and fears just like anyone else. It certainly was a big adjustment for me and my family as well when we first came to Papua New Guinea. Jill and I had already had a number of other mission field experiences. But when we came to PNG, we were also bringing our two young boys with us as well. And just like any other parents, we worried for the safety and the health of our children as we settled into a small village in a remote part of the tropical forest of PNG. I remember quite clearly during those early days how I would walk through part of the village and around the grass airstrip area holding on to the hands of my boys. I would then carefully explain to them what the boundaries were of where they could go and where we did not want them to go. Those boundaries were pretty restrictive at first, since we had no idea yet of what to really expect. But as we got to know the people and the area, and as we continued to experience God’s hand of protection and provision, we grew to love the people and the village where God had placed us. The “missionary life” is not something that everyone is cut out to do. But it is also not something that only those who are “spiritual giants” can do. But leaving the safety of our own personal comfort zone to reach out to people who are hurting and don’t know Jesus yet is something that God calls all of His children to do. You have probably heard about or seen the sign that hangs over the door on the inside of some churches, “Entering the Mission Field”. The saying is cute, but it is also very true. God calls all of us to be missionaries. It won’t be easy for most of us. Some of us may travel thousands of miles to respond to this challenge from God. Some of us only need to step outside of our door. In either case, God is faithful and He will help us to do all that He asks us to do. Sad as it is true, life is filled with pain. Unfortunately, many crises in our lives are not of our own doing, but have come about simply out of the unfortunate circumstances of life. At other times, our suffering does come at the hands of others and so we have no control when it strikes us. “When I was a little girl, my Mom gave me away. I have been in Foster Homes and badly beaten. I had no one to care for me. But through everything, God was there. At age 3, my Dad got me back. He worked in the coal mines. He pulled me from a burning house. I was almost killed in two house fires and a car wreck, but God was there. “I grew to 6 years old and had to take care of my 2 year old sister. I cooked and cleaned and had to learn on my own. I had stayed with my cousins who were ages 13 and age 3. This was the second house that caught fire. My Dad came running up the street and pulled me out, but my two cousins did not make it out. But God was there for me. “In 1982, two days before my graduation from school, I was sexually assaulted. I went to the Counsellor’s office who listened and she went to the principal and they helped. I suffered a lot in that last week of June. But God helped me through. There was one woman who treated me like her daughter who helped me, and when I visited her one day, I saw the picture of her oldest son. I fell in love and so the woman called him up and told him a Christian girl wanted to meet him. “He came to see me, and we fell in love at first sight. We went together for five months and in November we got married. But then he got sick in January and went into a hospital. It was snowing a lot and I had to thumb a ride to the hospital in the middle of that winder storm. The snow was up to my knees. But I kept my faith, and God took care of us. I knew that He was with us. “My husband got well and came home from the hospital in March. He got well, and I got pregnant and gave birth to a son on December 18. We walked everywhere, going to the stores, and to the doctors, or wherever. We lived in a small trailer. In ’87 I became pregnant again, and then two weeks before time to give birth I was in a car wreck. On May 6, I gave birth to a baby boy, but he died. It took three doctors to bring him back to life. God had his hand in it. He was my miracle baby. “Jobs were hard to get so we moved a couple time. My brother committed suicide, but before he did, he tried to kill me and my two sons. God was our shield and protected us. I had some more pregnancies after that time, another son in ’92, but then lost twin girls. We had to move a lot across Texas for my husband to find different work. God was there and helped him find work. “We did go to one church while in one town in Texas. My son got in trouble and went to jail for 6 years. The church turned us away, but I still knew God was with us. Then we found a good church in Waskom, Texas and we stayed with them and the town there for eight years. I helped out in the church, I cleaned it and handed out cards and sent birthday and get well cards. But then we got a letter from the city that put us out of our home and on to the streets. “The trailers in this park were not moveable and the owners were selling the land where we rented. They wanted to build on the land. Our pastor tried everything he could to help us. But none of the plans succeeded. So our church gave us a going away party. Well, a week before this my husband called his dad who found us a trailer to live in Charleston, West Virginia. We did not have money to move. But our church took up a collection and we got enough to make the move. “We got there in November, but the trailer had no water or heat for one month. But God was still there. I still have my Lord and Savior. We were there for one week and we were looking for a good church. And God brought us to a wonderful church. We went in and the next thing we knew the church welcomed us with open arms, as if they were waiting for us to arrive. WOW!! Our God is awesome. Thank you Shelly for sharing about your faith, telling us of how much you love God and God loves you, and how you show the compassion of Jesus to others who are in need. May we all learn from you how to be stronger Christians ourselves. Amen. Recently, I was interviewed by a Christian magazine regarding my life in Christ and the translation work that I have been involved with for over 17 years now. In this fourth article that includes a portion of the questionnaire, I talk about the emotional and spiritual crisis that occurred when we were in Papua New Guinea and found out that our son had developed leukemia. My prayer is that what I wrote will be a blessing to you, and be a testimony to the greatness of God who has empowered me to do His work. Q7: Your biggest challenge at the time was when your son was diagnosed with leukemia in Papua New Guinea. How did you manage not to quit altogether out of grief? Where did you find God’s will in all this after those long years of your faithful service? Yes, one of the greatest challenges to me emotionally and spiritually was when we were told to evacuate with our son out of PNG and go to Australia to get a diagnosis of leukemia for him confirmed. Many of those months during the first year of his chemotherapy are still a blur to me. Our son had to have 33 months of treatment, but the first 12 were what they called “the aggressive drugs” while the next two years were the “maintenance drugs”. During that first year, the job of the strong drugs was to literally kill off the new blood cell production right down to his bone marrow. Then after that, the doctors used the maintenance drugs to slowly rebuild his blood system. There were a few times in that first year that his blood counts went right down to zero and he was in danger of catching any other illness, even as simple as a cold or the flu, that could threaten his life. So we lived at home and also at the hospital at times in a “quarantine” environment. We are so thankful to God that He spared our son’s life, and we still believe that it was the prayers of God’s people that made the difference. In the first five weeks that we spent getting treatment for him in Brisbane, Australia, we had more than 500 emails from people around the world that had heard about our situation and were praying for our family. Almost half of these came from people I had never heard of before. Praise God that we are part of a larger Body of Christ as believers. 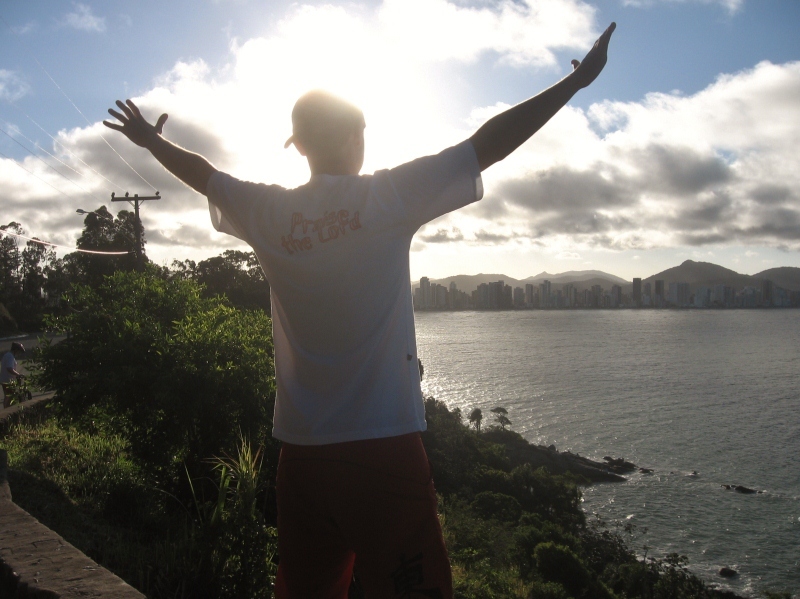 What is interesting as I look back, is that I don’t ever remember asking God, “Why us? Why our son? Why this illness?” I do remember asking God, “Why now?” We had finished all the checking on the Gospel of Mark in our village language except the final consultant check. We were three weeks away from doing that when we got the diagnosis. Now many years later, I believe I can see that the people were not ready to receive the book of Mark. They had to deal with the cargoism within their group first. Then over a year later, someone else was able to complete the consultant check on Mark and get it to a publisher and take it to the people. Ten years later now, there is a revival movement happening among the people. I won’t say that God deliberately gave our son the cancer (that would be a cruel God to me), but He had all things in control and used the cancer years to bring about His work in His timing among the people. But for me, as I watched and waited with Jill over our son, I certainly had many moments of tears and fears. Yet I hung on strong to the promise found in Romans 8:28 that promised me that “in all things” no matter what the circumstances were, God would bring good out of the situation and show us that His love for us had never changed. And we saw some amazing things happen during those cancer years. Our son was chosen to be the cancer Spokes’ Kid for “Kids Cancer Care Foundation” in Alberta in 2003. And God used him to speak about his own faith in God despite his cancer in meetings across the Province, on radio and on television. He even gave a speech in Calgary at one of the biggest events of the richest people in Calgary, including the Mayor of the city, and in that speech he gave testimony about how God had sustained him and cared for him in spite of his cancer. God allowed me to experience one more terrific blessing during those few years in Canada. I was invited by one Bible College in Saskatchewan to teach Missions and Bible courses for one year, and then the next year I was invited by the Bible College in Calgary to teach Missions and Greek. The staffs at these two colleges have mentioned that I had the opportunity to teach some of the best students they had had for years, and some of those students (and the staff) are still talking about these classes that I taught. So while I cried out concerning the lost people in the villages back in PNG, and I cried out over my son, God rewarded me by giving me wonderful opportunities to continue serving Him. To me, that was a tremendous privilege and blessing from God.